Considering Life Insurance? Ask Yourself These Questions First | JAK + CO.
December 7, 2017 By JAK + CO. Consideration of life insurance is an integral part of the estate and financial planning process. You may wish to have a policy to pay estate taxes, address estate liquidity needs, provide for a business buy-sell agreement, or provide funds for your heirs. But before you purchase a policy—or even if you have a policy in place—ask yourself these questions first. This is true for any type of insurance: you should know why you have it. Before you think about it, list out your reasons for needing it. For starters, think through these questions: What expenses do you need it to cover? Who will you list as the beneficiaries of your policy? Do the perks of having a policy outweigh the costs of its premium? These questions also apply if you have an existing policy. Life changes, so it’s important to make sure your life insurance policy makes sense for your current situation. Which type is best for your life stage? There are many types of life insurance. The most common are term, whole life, universal life, variable life, and adjustable life. Each type serves a different purpose. The life insurance you need is dependent upon where you are in life. For instance, if you’re in the early stages—i.e., you are buying your first home or are planning to start a family—your needs for life insurance will likely be income replacement, mortgage payments, and possibly education expenses for your children. 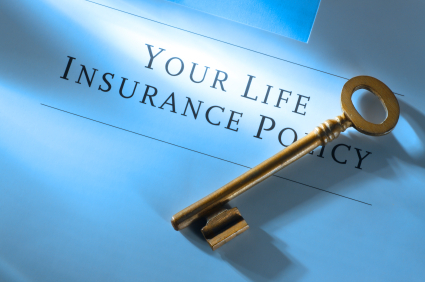 In the mid stages of life, you may or may not need life insurance to cover your mortgage. If you own a business, you may wish to purchase life insurance as a means of paying for a buy-sell agreement. On the other hand, if you’re in the later stages of life, you may need life insurance to create an estate, pay estate taxes, or to keep your estate equitable between your children. Your policy should make sense for you—and your heirs. Life insurance, regardless of type, is never one-size-fits-all. It’s important to make sure the type of insurance and policy you choose will meet your specific needs and potentially take care of your loved ones according to your wishes. Regardless of where you fall in the stages of life, your estate planning professional can help you weigh pros and cons to secure a policy that’s right for you.